Ready to rock with new guitarist Jann Fuhrer! Watch out for gigs! 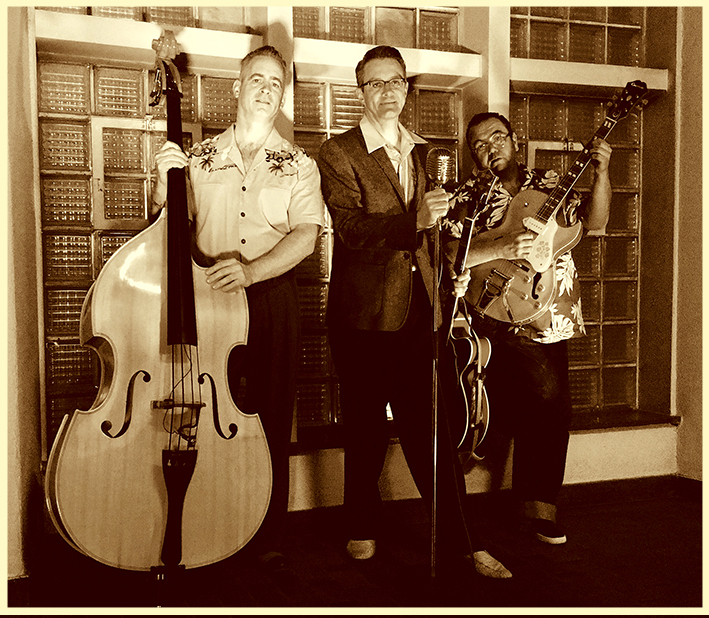 The - Chris Helbling (vocals/rhythm guitar), Beat Eck (upright bass) und Jann Fuhrer (lead guitar) - sind ein Rockabilly-Trio aus dem Raum Zürich und spielen authentischen 50's Rockabilly mit viel Drive!